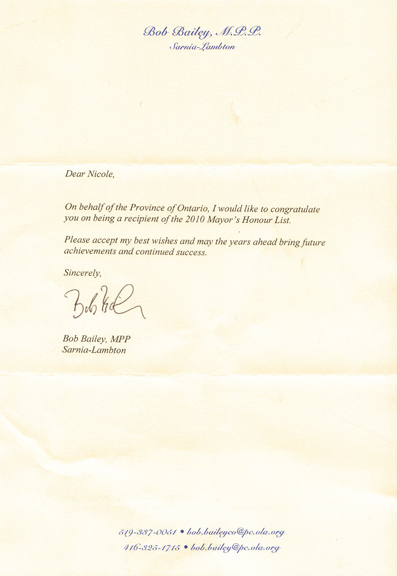 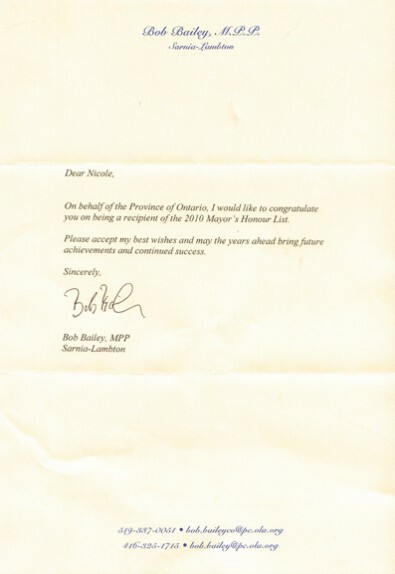 Below is a letter of congratulations from the MP of Lambton County for my award from the Mayor. 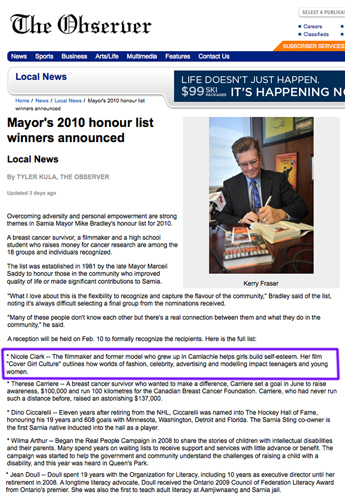 This entry was posted in Press Coverage, Reviews. 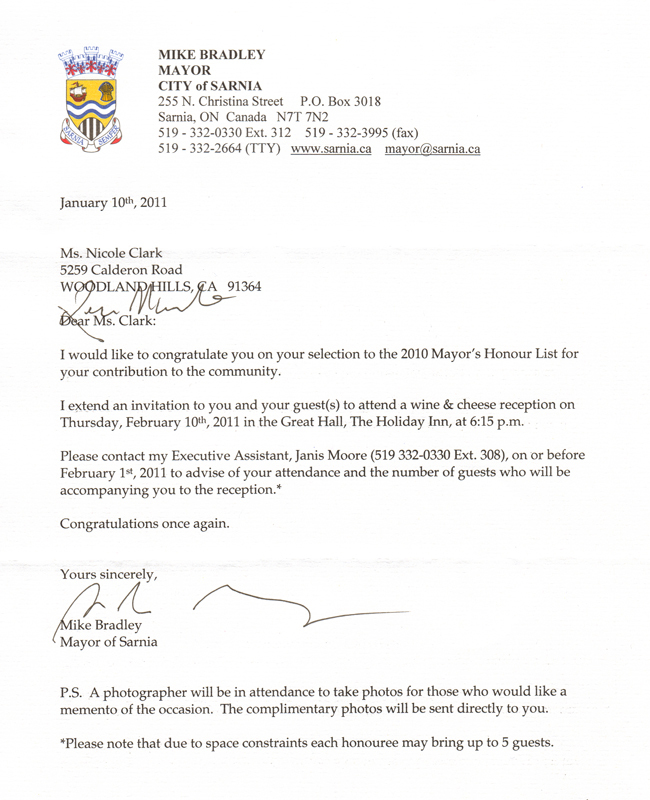 Bookmark: permalink.